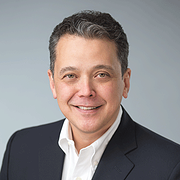 Mark Ahn, Ph.D. is Principal at Pukana Partners, Ltd. that provides strategic consulting to life science companies; and Professor (adjunct) at Portland State University and Carnegie Mellon University. Dr. Ahn’s 20 year career has spanned small and large biopharmaceutical companies and academia. Most recently, he served as President, Chief Executive Officer, and Director of Galena Biopharma. Previously, he served as Chair, Science & Technology Management at Victoria University at Wellington, New Zealand. Dr. Ahn was also founder, President, and Chief Executive Officer of Hana Biosciences. He also served as Vice President, Hematology and corporate officer at Genentech, Inc., as well as held positions of increasing responsibility at Amgen and Bristol-Myers Squibb Company; and served in the US Army. Dr. Ahn also serves on public and venture capital-backed Board of Directors for private and public companies. Dr. Ahn is the author of over 50 peer reviewed journal articles and books. Dr. Ahn received a BA and MBA from Chaminade University; and MA from Victoria University. He was a graduate fellow in Economics at Essex University, and obtained a Ph.D. from the University of South Australia. Dr. Ahn is a Henry Crown Fellow at the Aspen Institute.